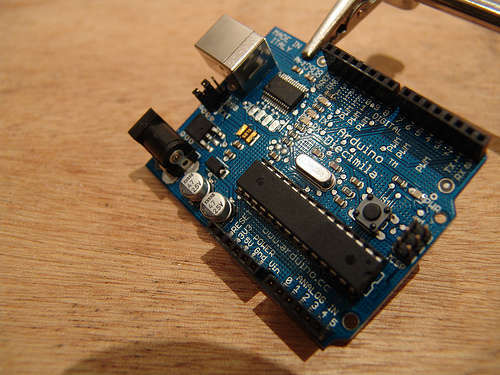 Making solid connections between electrical components on a board is an important part of many hardware projects. A good solder joint forms an alloy at the surface of the PCB and the component lead. 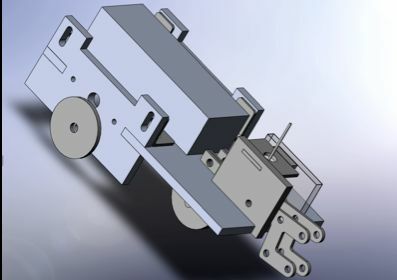 During soldering, a solder connection on a circuit board can quickly turn into a real nightmare if not caught immediately, ending up with a too thin or too thick solder joint. 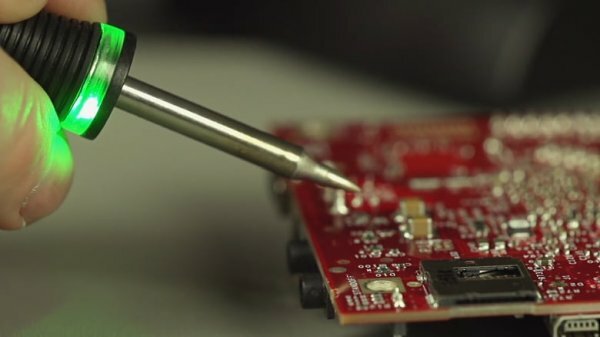 Connection Validation is MetCal’s latest innovation in hand soldering. It allows you to precisely apply the solder to your components. MetCal Connection Validation is to complement or even replace the standard visual inspection during soldering, where now the soldering iron will do it instead. MetCal Connection Validation (CV) evaluates the quality of the solder joint by calculating the intermetallic compound formation immediately after the soldering iron’s tip is placed on the joint to solder, and it provides closed loop feedback to the operator visually. Connection Validation provides feedback to the operator via the LED light ring integrated into the hand-piece. The Soldering Iron will light up green when the correct intermetallic thickness has formed, and a red light comes on if an error has occurred.